Paint jean with a purpose, support survivors, and educate yourself and others about sexual assault. 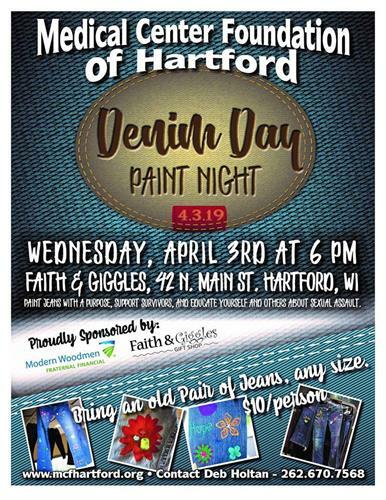 Bring an old pair of jeans and $10. Matching funds by Modern Woodman! Paint and accessories provided. Refreshments available. Groups welcome. Call 262-670-7568 to reserve your spot.